The Annunciation Church - resurrecting from the ashes. 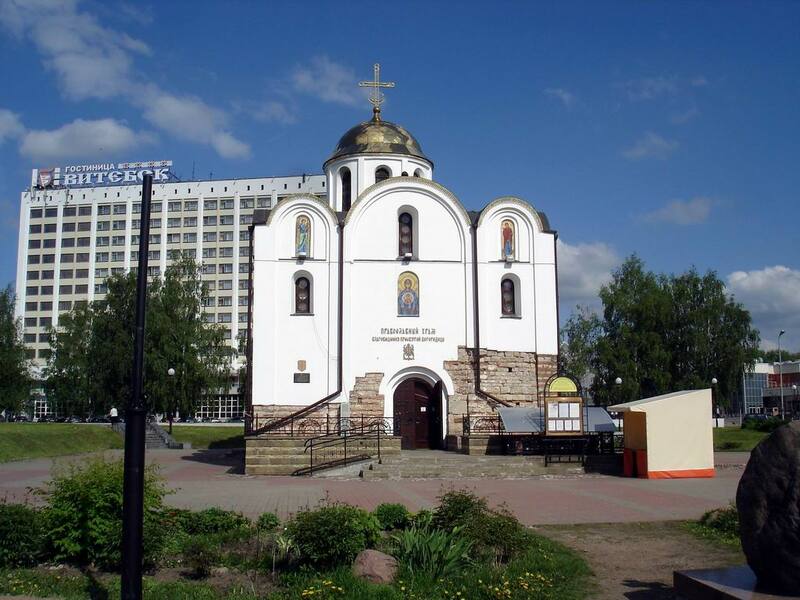 The Annunciation Church is the most prayed place in Vitebsk. The temple was built at the dawn of the city, but the reconstruction, demolition and an explosion in peacetime have made its sad contribution. 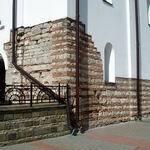 In spite of this the Annunciation Church remains the main temple of Vitebsk. Culture of Vitebsk is so rich and diverse that this city is to be envied. The picturesque hometown on the banks of the Dvina River will please and surprise its guests by not only its amazing scenery, but also its attractions, which makes the history of the city of Vitebsk rich and unique. Vitebsk is a modern city that is growing rapidly, but at the same time there are monuments, that have been worthy decoration since time immemorial. It's about the Annunciation Church. 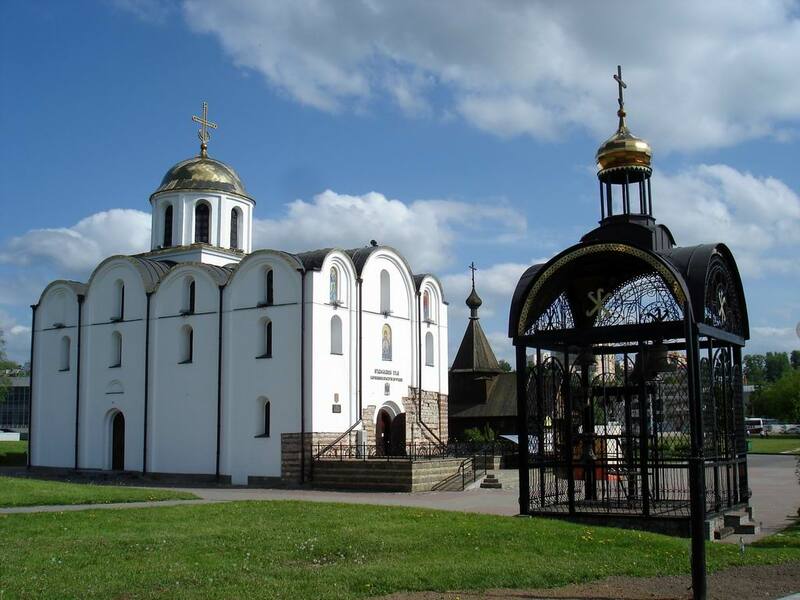 It is difficult to set the date of the construction of the relic: some sources link its erection with the name of Prince Olgerd (XIV century), the pages of other books claim that the Annunciation Church was built in the Lower Castle in Vitebsk on the order of Princess Olga (X century). Anyway, this does not downplay the significance of this historic facility, which testifies the uniqueness of the architecture of Vitebsk. Another interesting fact is connected with the construction of the temple. By studying the nature of the development and materials used in the construction, the researchers concluded that the Annunciation Church was erected by not Belarusian masters but Balkan architects brought by the princes of Polotsk. The fact is that there appears a unique masonry for a Belarusian temple: hewn limestone blocks alternate with layers of flat bricks. Thanks to this moment the relic gets its unique look, not only among the many churches in Vitebsk but even in Belarus. As the history of the city of Vitebsk testifies, the path of the relic was quite hard and difficult. Not only the appearance of the temple subjected to changes but also its purpose: in 1619 the Annunciation Church was transferred to Uniates by King Sigismund III Vase. During the Northern War the church was greatly damaged and has been in such state until 1714, when finally it was decided to restore it. After 45 years, the church once again expected to be changed - it gave the appearance of the late Baroque period - instead of the dome above the altar part a tower dominated with a spire. The temple was not only the embodiment of mankind's bright ideas, but also a kind of military arena, as during 1812 Patriotic War French troops used the Annunciation Church as a ammunition park. The Church was returned to the Orthodox Christians only in 1832, and shortly thereafter began the restoration of the temple under the guidance of architect Bettini. After 10 years back, it was decided to reconstruct the Annunciation Church again, the decor and silhouette have changed a lot over again. It would seem that it's time to give the original appearance of the relic, but far from it. The temple was deprived of the elements in the baroque style, restored it in pseudo-Russian style. Anyway, they did not managed to wipe out the Annunciation Church in a literal sense. 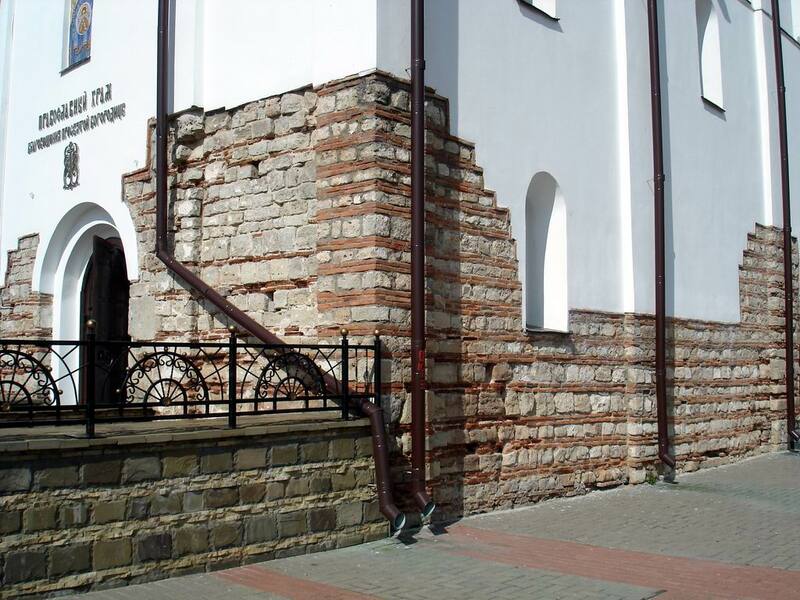 Yes, the church has not survived, but the attempts to destroy it completely failed: survived fragments of masonry sometimes that reach 5 m height. This made possible by the unprecedented thickness of the walls, which sometimes reaches up to 1.5 meters. By the way, after the failed attempt to destroy the church fragments of ancient frescoes were finally destroyed which were found under many layers in post-war time. The building of the unique temple in Vitebsk was preserved, but not at once, in 1970s. Then, among the ruins fragments of plaster have been found, one of them - two pieces of graffiti, the second contained mysterious symbols, images and signs. The development project of restoration of the demolished church in Vitebsk led by G. Lavretsky began only in early 1990s, when it was decided to erect the Annunciation church, re-creating its original form. Only an unplastered fragment of the basement, which miraculously survived after the vicissitudes of history, shows the relic resurrected from the ruins. Visiting the church, not hurry to leave, turn around, because it is still much to be seen in Vitebsk. Nearby Kirov Street runs fast into the distance, close to the urban landscape Summer Amphitheatre is conveniently located. In close neighborhood to the church there are the Church of St.Alexander Nevsky Blessed (Millennium Square) and the Uspensky Cathedral (ul.Krylova, 9). Address: 1 Zamkovaya str., Vitebsk.